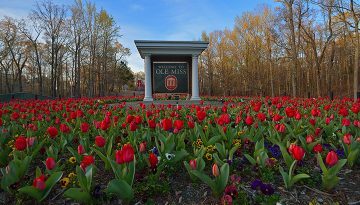 The University of Mississippi (UM) has embarked upon a bold path of ever-increasing excellence in making a positive difference in society through higher education. Every day, across all our campuses, we see the power of higher education at work — in inspiring excellence, discovering new knowledge, advancing health and wellness, and making our world a better place. The power of higher education can truly transform lives, communities, and the world. 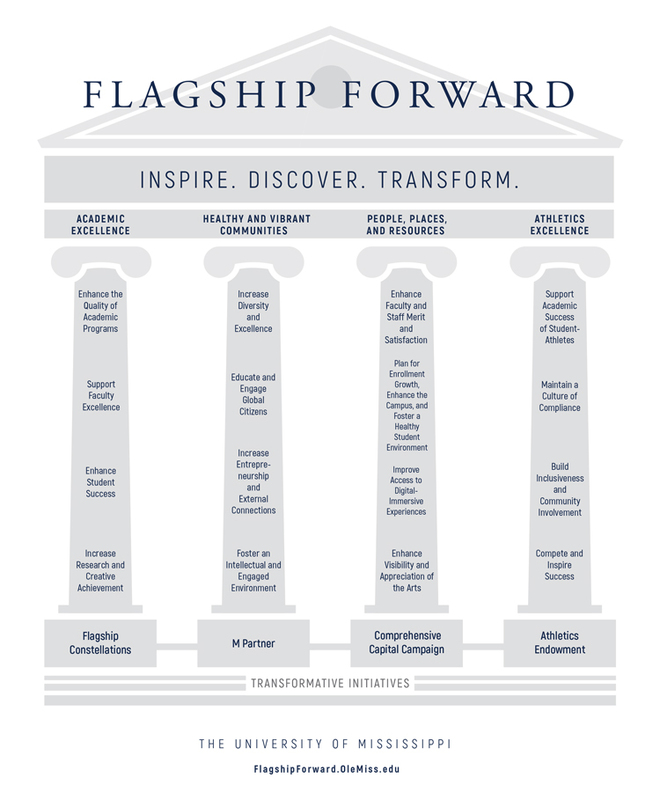 FLAGSHIP FORWARD, the strategic plan of the University of Mississippi, is our roadmap to doing so. This strategic plan focuses upon the main campus in Oxford and its regional campuses in Tupelo, Southaven, Grenada, and Booneville, which we collectively refer to as UM Oxford. 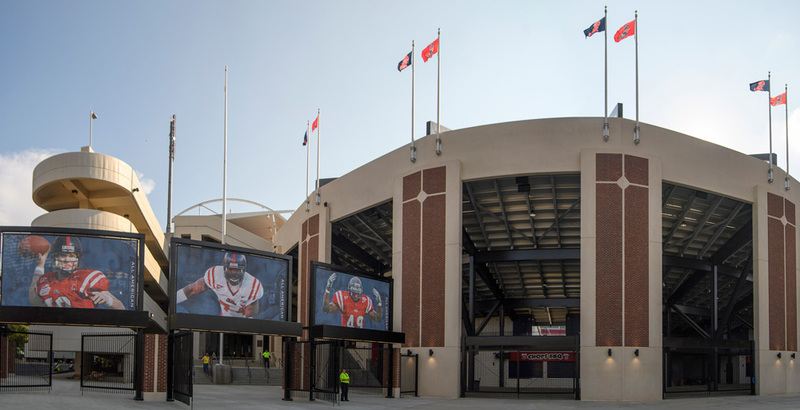 FLAGSHIP FORWARD also leverages some university-wide transformative initiatives for UM as a whole, which includes the University of Mississippi Medical Center (UMMC) in Jackson and other venues in Mississippi. 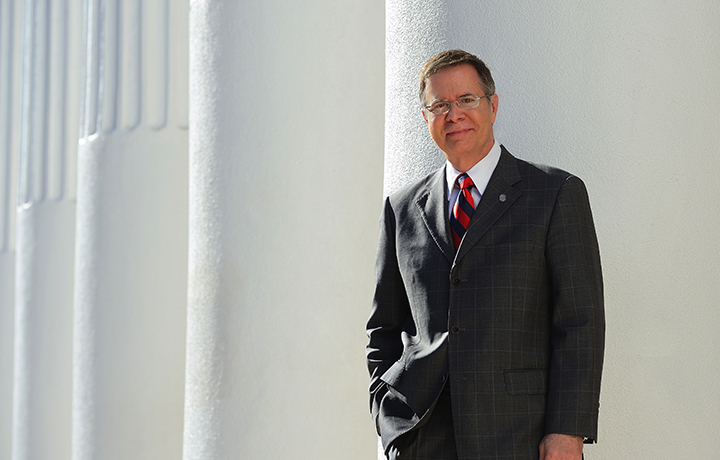 The University of Mississippi aspires to be a preeminent public international research university and a leading force for innovation and opportunity in Mississippi, the United States, and the world. As Mississippi’s first comprehensive, public university and academic medical center, the University of Mississippi transforms lives, communities, and the world by providing opportunities for the people of Mississippi and beyond through excellence in learning, discovery, healthcare, and engagement. 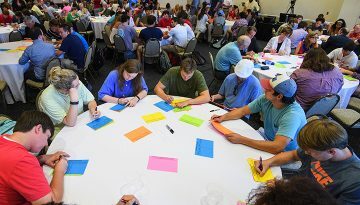 The mission of the University of Mississippi is to create, evaluate, share, and apply knowledge in a free, open, and inclusive environment of intellectual inquiry. Building upon a distinguished foundation in the liberal arts, the state’s first comprehensive university serves the people of Mississippi and the world through a breadth of academic, research, professional, and service programs. The University of Mississippi provides an academic experience that emphasizes critical thinking; promotes research and creative achievement to advance society; uses its expertise to engage and transform communities; challenges and inspires a diverse community of undergraduate, graduate, and professional students; offers enriching opportunities outside the classroom; supports lifelong learning; and develops a sense of global responsibility. The mission of the University of Mississippi Medical Center is to improve the health and well-being of patients and the community through excellent training for health care professionals, engagement in innovative research, and the delivery of state-of-the-art health care. Devotes its knowledge and abilities to serve the state and the world.